I know, I am a little late… Things have finally settled down in the Hannemann household after all of the holidays, traveling, spending time with family and friends, unpacking, starting a new job. Today might as well be January 1st, because to me it feels like it! I also wanted to apologize for those of you who tried accessing my blog for the past few weeks. I have been having some technical issues that were finally resolved last night – hooray! For the New Year, one of my goals is to eat healthier and workout more. I used to be really good about working out at least 30 minutes a day, but since our move and the winter weather, my motivation for working out has dropped dramatically. I am using the New Year as motivation for starting my workout routine again, and I hope to include running, swimming, spinning, and pilates as part of it. What are your goals for the New Year? I’ve also started another project that I am excited to share with you: The Kitchenist. It is going to be a blog about trendy kitchen items, with the goal of trying to bring life and excitement back to the kitchen through inspirational images. I have been finding some really cool stuff out there, and I can’t wait for you to see it. 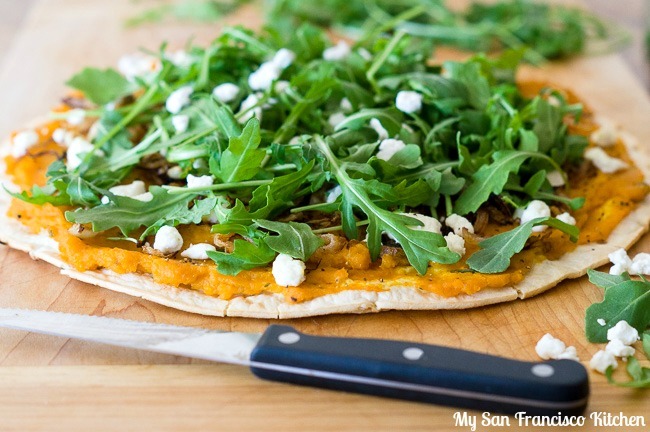 Today I am sharing a favorite recipe of mine, butternut squash pizza! 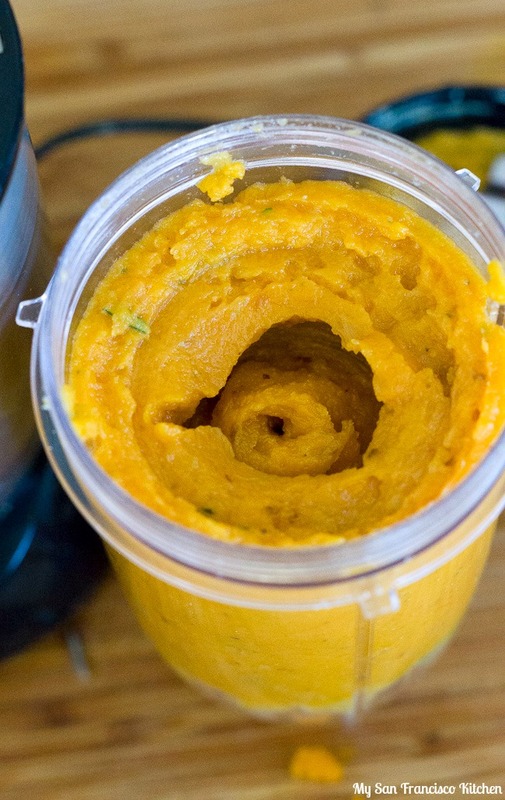 You can use any pizza crust you like, and top it with puréed roasted butternut squash. I added rosemary and garlic to the purée. For the toppings, I used thinly sliced onions caramelized in a cast iron skillet for 20 minutes, crumbled goat cheese and fresh arugula. I can never make enough of these pizzas, they are always completely gone in minutes after taking them out of the oven. 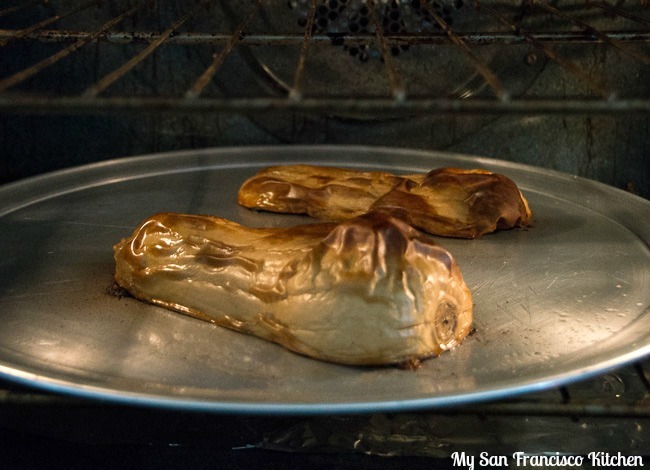 Place the butternut squash halves skin-side up on a baking sheet and roast in the oven for 40 minutes, until soft. 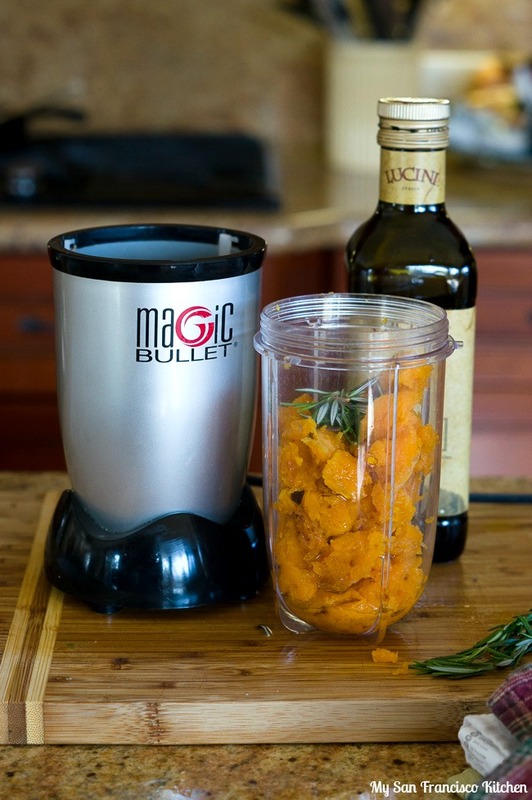 Scoop out the cooked squash into a Magic Bullet cup and add the rosemary and water. Blend until smooth. 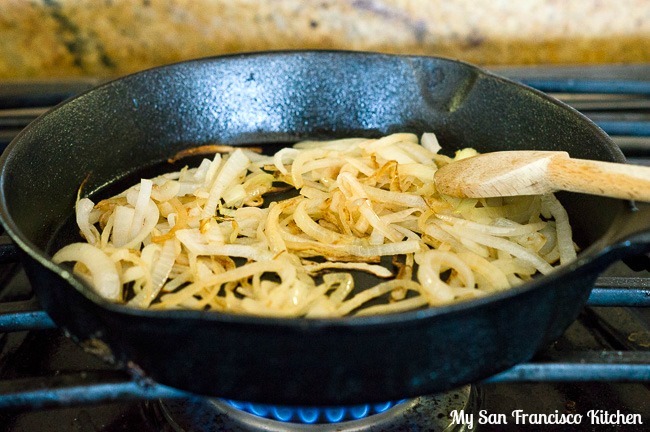 Add the olive oil to a skillet over medium heat and add the onions. Cook for 15 minutes, stirring occasionally. 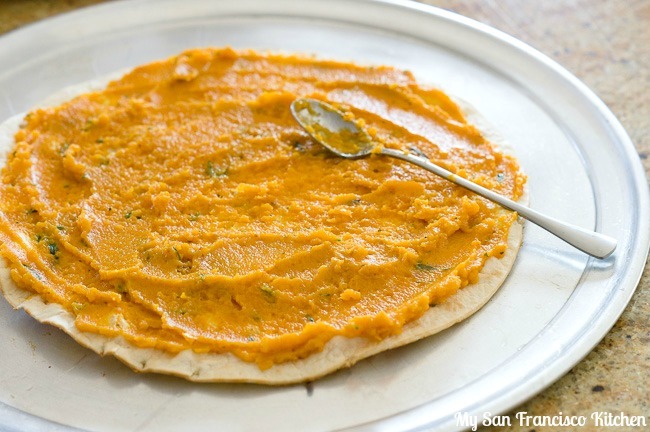 Spread the butternut squash purée onto the pizza crust. Top with the onions and goat cheese. 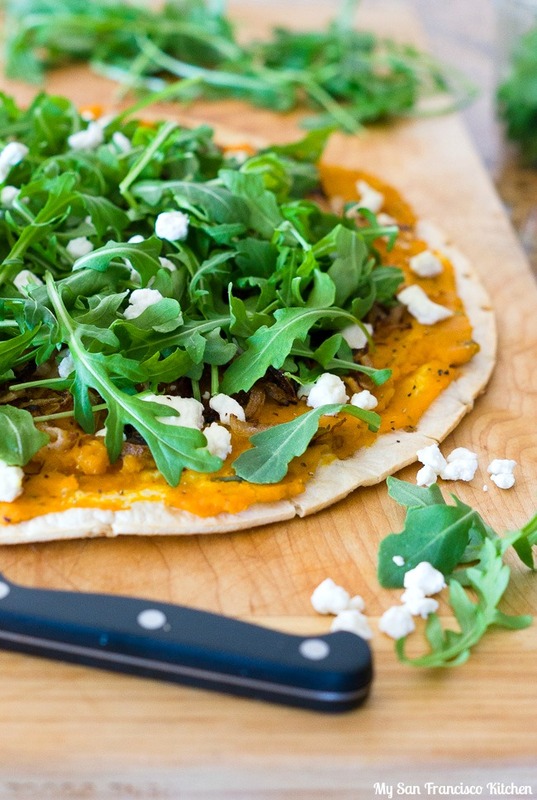 Bake in the oven for 15 minutes, then remove and top with arugula. 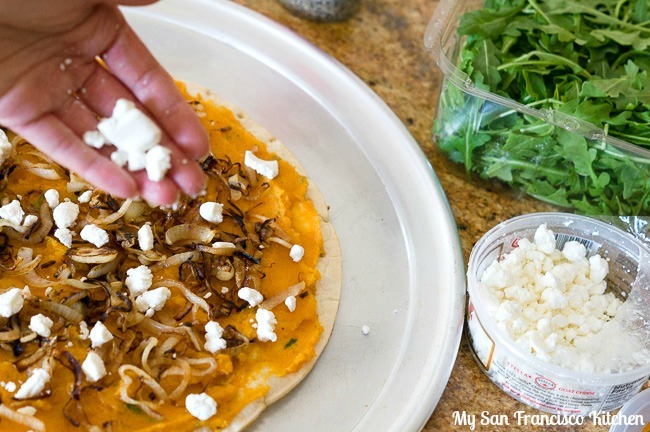 This entry was posted in Appetizers, Dinner, Lunch and tagged arugula, butternut squash, fall, goat cheese, onion, pizza.